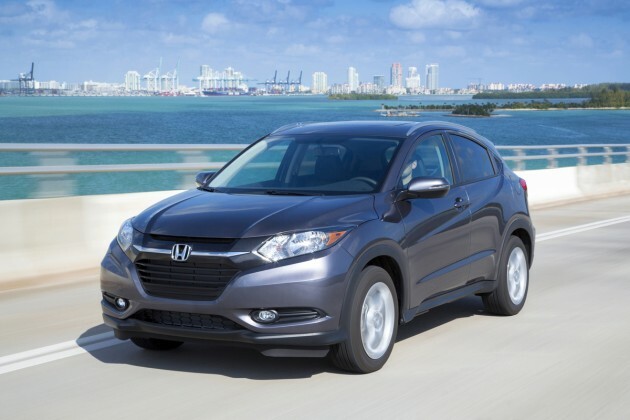 What’s New for the 2016 Honda HR-V? Everything! The 2016 Honda HR-V is a brand-new subcompact crossover SUV, which slots in between the Fit and CR-V in Honda’s automotive lineup. 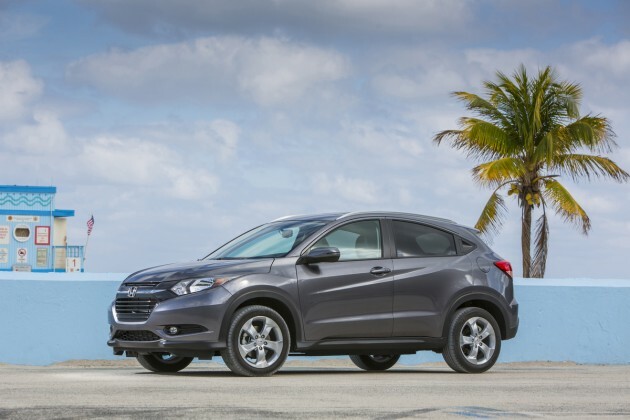 The 2016 Honda HR-V is available in three trim levels: LX, EX, and EX-L. Despite fitting in between the two, the 2016 Honda HR-V doesn’t look like an oversized Fit or a smaller CR-V. It’s got a design of its own best seen from the side, where the coupe-like profile really stands out because of the sloping roof and muscular arches. It combines sophistication and functionality with a touch of athleticism. All models ride on 17-inch aluminum-alloy wheels. 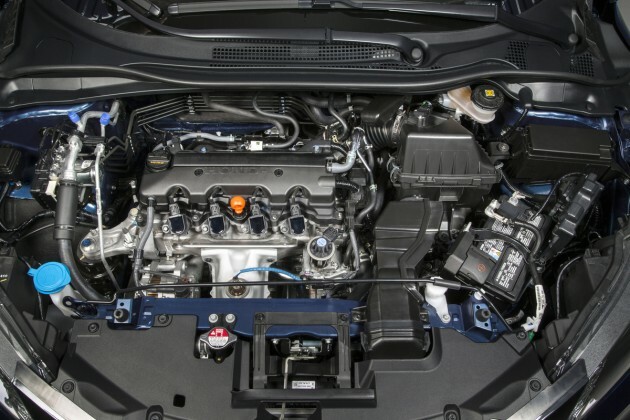 Under the hood of the 2016 Honda HR-V is a 1.8-liter four-cylinder engine that produces 141 horsepower and 127 pound-feet of torque. It can be equipped with all-wheel drive, but only when opting for the CVT automatic instead of the default six-speed manual. 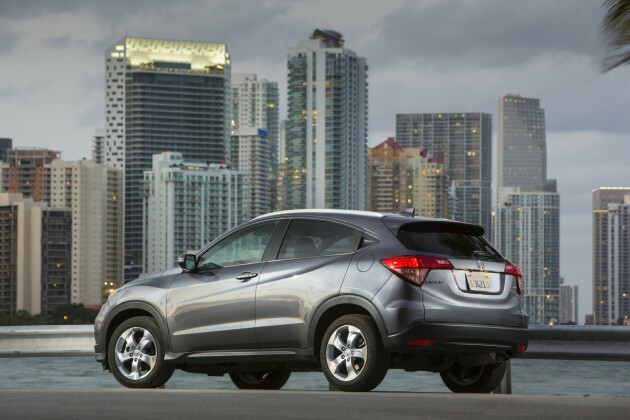 The 2016 Honda HR-V is one of the most fuel-efficient SUVs available, with EPA fuel economy estimates standing at 25 mpg city/34 mpg highway for the manual, 28/35 for the automatic with FWD, and 27/32 mpg for the automatic with AWD. 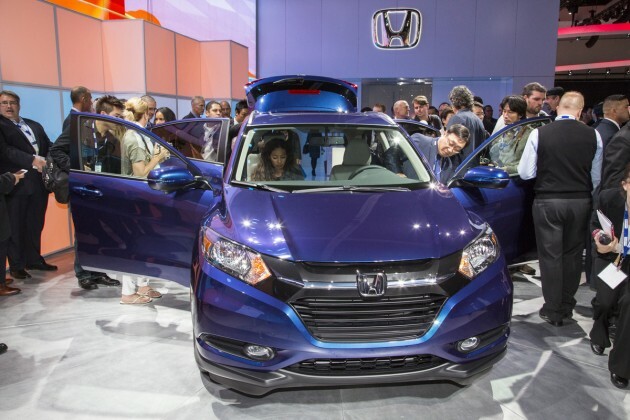 It’s a completely new model and as such the interior of the 2016 Honda HR-V feels positively modern. All models sport an LCD interface in the center dash for infotainment, with traditional buttons making way to touch-based systems on upper trims. You can fold back the front passenger seat to create what Honda calls “Long Mode,” allowing you to carry long items like lumber and surfboards without needing the roof rack. The 2016 Honda HR-V comes standard with antilock disc brakes, stability and traction control, front-side airbags, full-length side curtain airbags, hill-start assist, and a multi-angle rearview camera. The EX trim also comes with Honda’s LaneWatch blind-spot warning system.